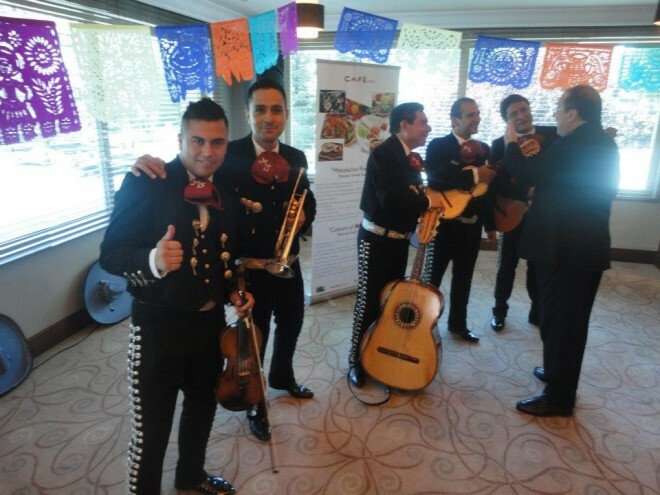 In September 2012 the festivals were organized in the Mexican Embassy in Turkey. We present in the sample delicious gourmet the Swiss Hotel in Ankara and Izmir and in Latin party was organized at the French embassy . We participate in the celebration of the Cry in the house of the Ambassador Jaime Garcia Amaral and the party that was held at the Contemporary Art Museum in Ankara with the support of Corona and Patron Tequila. We thank all those who treated us with such care during our stay there and especially to Alfonso De la Madrid made ​​it possible to work in another country so pleasant. I’ll let a video so you can see how much fun we had playing live with our clothing culture Mariachis Mexico closer to a land as welcoming as is Turkey. All videos were recorded live Turkey in Ankara Swiss Hotel, and got along sorry no professional videographer.